As to be expected from a capital city, Beijing is leading the country 's cultural revival. 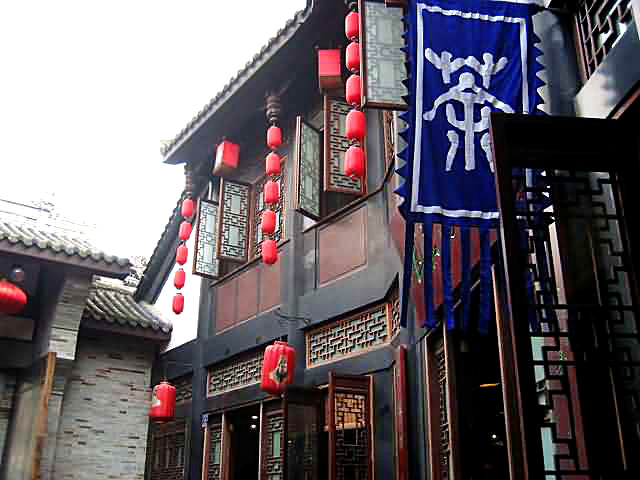 A number of teahouses have recently reappeared in the capital, not only serving delicious selections of tea and cakes, but also showing a variety of Beijing Opera, martial arts and acrobatics performances. Western influences have been embraced by the city. The theatrical scene is changing fast and the Beijing Concert Hall has a mix of Chinese and Western music. Beijing 's nightlife and entertainment scene is currently undergoing something of a revolution, as modern Beijingers seek out new outlets for having fun. As more of the locals enter the relatively affluent middle-class, nightclubs are springing up around the city to satisfy the demand. For most foreign audiences, Beijing Opera is hard to understand the first time, with its archaic dialogue sung and loud, undulating voices. However, its exquisite costumes and martial arts-inspired movements ultimately make it worthwhile. Probably the opera's most distinctive feature is its elaborate system of painted masks. Several theaters now offer shortened programs more suited to tourist 's attention span, usually with English subtitles or plot summaries. Most visitors enjoy the cinema-style Liyuan Theater inside the Qian Men Hotel (nightly performances at 7:30 pm). 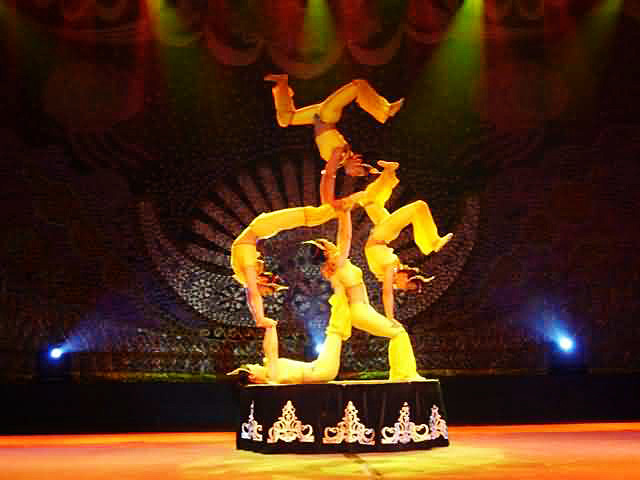 Chinese acrobatics shows are something that the whole family is sure to enjoy. This art form has existed in China for 2,000 years and covers anything from gymnastics and animal tricks to magic and juggling. China's acrobats are world-famous and feature truly awe-inspiring physical feats. The combination of plate spinning, hoop jumping, flexibility stunts, and seemingly impossible balancing acts makes for non-stop entertainment. Do you want to see the real Kung Fu on spot? 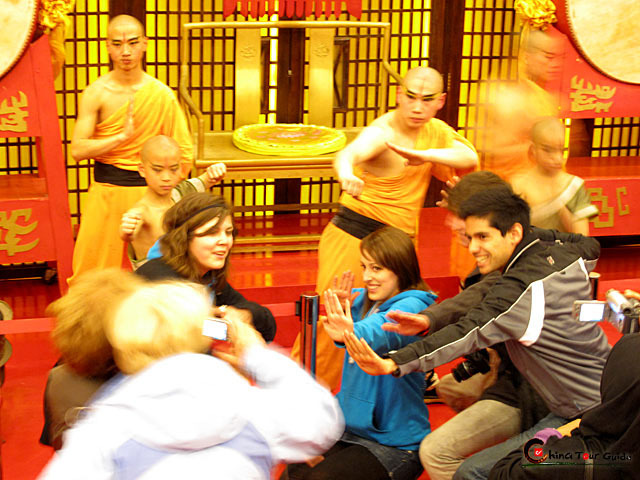 Do you want to discover the mystery of Kung Fu and understand the spirit of it? Lucky you! A splendid show CHUN YI: The Legend of Kung Fu, running daily in Red Theater of Beijing, definitely will hit you with the fantastic and authentic Kung Fu. Traditional teahouse entertainment disappeared from Beijing after 1949, but some semblance survives in a number of modern teahouses that have emerged along with the tourism industry. 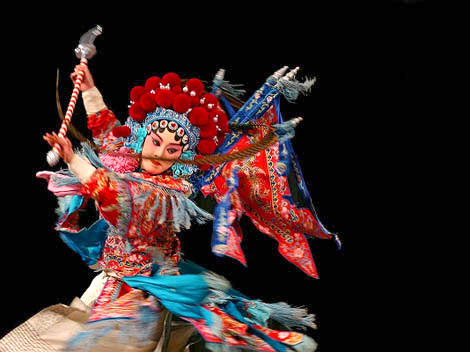 Short acts of Beijing opera, cross-talk (stand-up) comedy, acrobatics, traditional music, singing, and dancing take place on a number of teahouse stages as customers sip tea and nibble on snacks. If you have a compact schedule and don't have time to see these kinds of performances individually, a teahouse is a good solution. 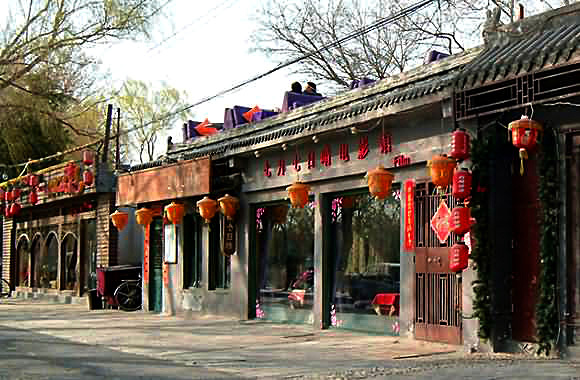 Bars in Beijing are located in one of several districts, each with its own atmosphere and social connotations. The city's oldest and still most popular drinking district is San Li Tun (the bar street), a road which once housed practically all of the city 's pubs. Beijing bars generally open around five or six pm and stay open until the last patrons leave or the staff decides to go home, usually by two am on Friday and Saturday nights.